IN a reversal of the earlier Under 18s grand final result, the New Norfolk reserves have just won their third premiership in succession, reports Wade Gleeson from KGV. 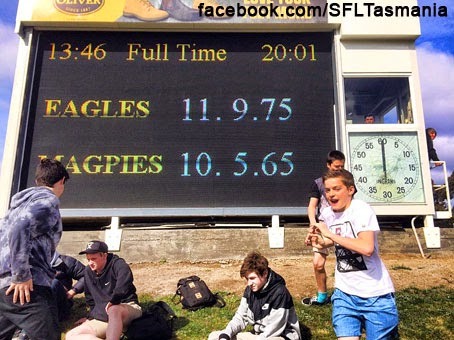 The Eagles hadn't beaten the Magpies during the roster matches and then lost to them in the first semi-final. But with experience and determnation they won in the big one when it mattered! This is a good lead on for the seniors who now are also aiming for three in a row. 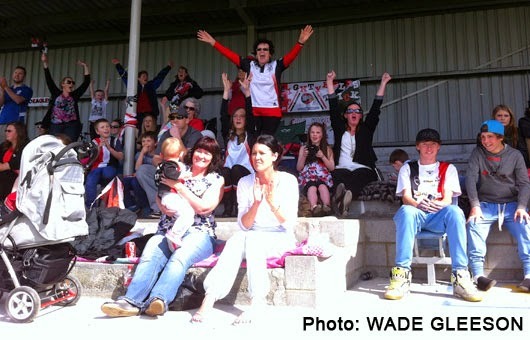 The scoreboard at full time in the reserves grand final.